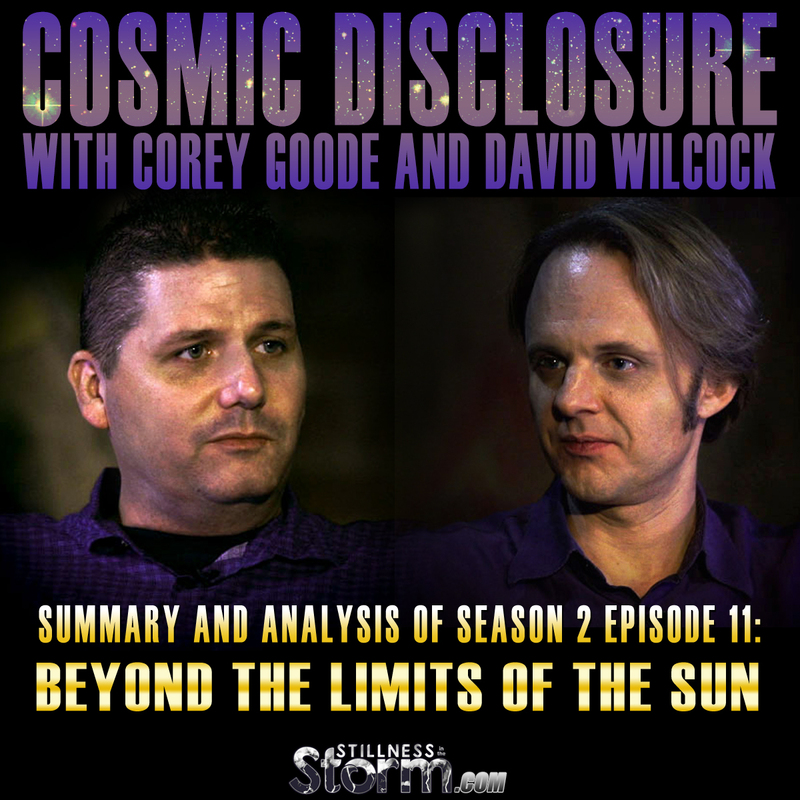 This week, Corey and David discuss the ICC, Interplanetary Corporate Conglomerate's expansion into deep space, using highly advanced technology capable of tapping into natural portal systems that exists in the universe, described by Goode as the Cosmic Web. Apparently many moons within the solar system are geodesic in configuration, containing hollowed-out interiors that are crystalline in structure. The environment there contains everything one would find on a life-bearing planet. In other ventures into deep space, the ICC discovered many worlds at different levels of advancement, but almost all have some type of intelligent life that has laid claim to the sphere. The portal system used to travel vast distances in space works much like the seasons do here on Earth. The cosmos is a dynamic moving system of planets, star systems, and galaxies, all tangibly connected via electromagnetic filaments, which at certain times create openings that a craft can use to travel instantaneously. A spacecraft, possessed of the proper technology, can calculate when gateways open and where they lead to, essentially providing passage to any conceivable location in space or time. There are also several colonies and bases set up beyond our solar system, some tasked with ensuring the continuity of humanity. Venus is one location in the solar system off limits to unauthorized secret space program personnel, such as Goode in this case. He further clarifies that there are many items in the smart glass pads (iPad like devices supplied to Secret Space Program personnel for information dissemination), that he was not able to access due to his clearance level. There are also moons in the outer solar system, especially around Saturn, which are completely off limits to all secret space programs, apparently because they are Super Federation Council facilities, tracing back thousands if not millions of years into the past. 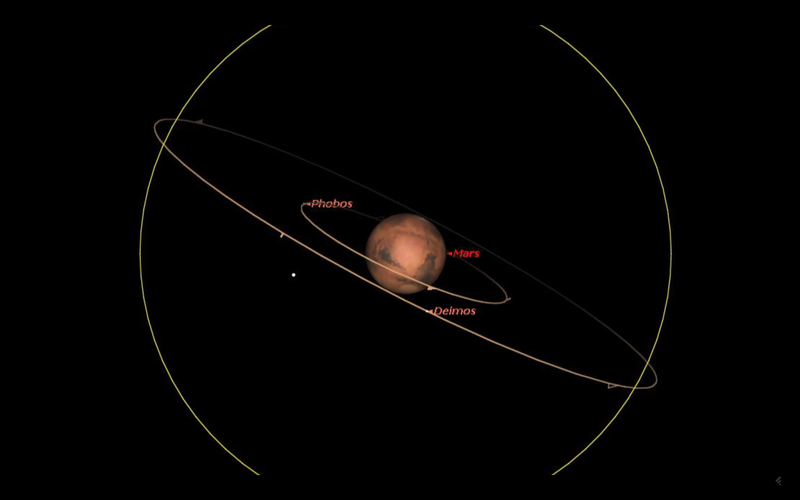 Phobos, one of the moons orbiting Mars is apparently an artificial satellite. The ICC and other groups have been recovering technologies and artifacts from this once inhabited sphere for some time. Our moon, according to Goode, is also an artificial sphere, tethered to the Earth using some kind of energetic anchor. If you do not already have a Gaiam TV subscription and want to support Corey, use this link here: blueavians.com. For translations of Corey's updates go here. Unexploited resources are a terrible burden for the insatiably greedy to bear. Thus, Corey Goode relays the motivations and machinations which enabled the expansion of exploits to extra-solar worlds. It was only inevitable that an international corporate conglomerate would form to take full advantage of the windfall that lie untapped within the natural resources of our solar system. Before long, contacts forged with extraterrestrial civilizations would provide an opportunity for the ICC to extend its clutches to the many life-bearing planets orbiting distant stars. This interview with David Wilcock was originally webcast December 8, 2015. The summarized notes will be in black, with my commentary in [green bolded brackets]. Alterations to the transcript for ease of reading will be in [brackets], but the original content of the dialog is always maintained. The images with black letter boxing were captured from this episode on Gaia TV. Transcript and commentary by Justin Deschamps. DW - Welcome to Cosmic Disclosure, I'm your host David Wilcock, and we are interviewing Corey Goode. So we've been talking about the development of our solar system by the military industrial complex. And the faction that we have been focusing on is the defense contractors that merged with the Germans that originally did the work. It has come to be called the Interplanetary Corporate Conglomerate or the ICC. So here with more on the ICC is Corey Goode. Corey thank you for being here. DW - We were talking in the previous episode about certain regions that, as the ICC expanded out into our solar system, they were mining various moons. You had said that one of the areas of particular interest that they were working on were the moons around Jupiter and the moons around Uranus. You also said that Saturn was essentially a forbidden region in some sense. DW - Now previously I talked to you about the people that settled on the Moon, on the dark side. And those are the Super Federation types, but Mars is its own territory. CG - The Moon is a hodgepodge of the Super Federation types and the Draco alliance types. A whole bunch of different types, many of whom, do not like each other. But this is very strict diplomatic zone, that people are just a few kilometers away from each other, who live in strict peace, that have been at war for millennia. [I want to] make that clear. DW - Sure. And you said that many of the people that live on the Moon don't live on Mars. DW - And that Mars had its own sort of separate domain. Is there a relationship between the settlers on the Moon, the settlers on Mars and the settlers on the Saturn moons you were describing? Or all they all different? CG - There's quite a bit of difference. What I've described as this Federation Super Council, this is a super federation made up of other federations, councils, and other different organizations and groups. DW - Hence the word Super. CG - "Confederations" I've heard used. And it's kind of like a giant "United Nations" of all of these different federations, confederations, councils that come to meet. There are 40 main groups with 20 other groups that are there a fair amount of the time but not all the time. Now these groups are more of the human type [ET]. And their bases seem to be mainly on the back of the Moon and moons on some of the gas giants, especially Saturn. So much so that, there are areas around certain moons of Jupiter and Saturn that are vessels were completely forbidden from going anywhere near. 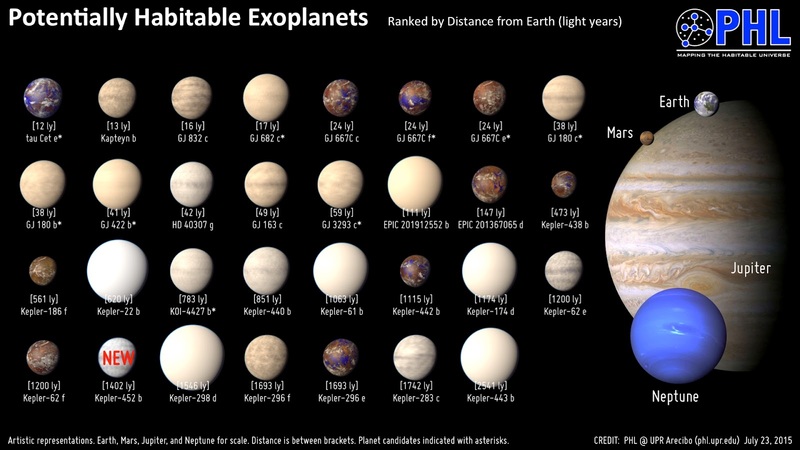 And this is in our own solar system, these areas [are] off limits. DW - Our vessels meaning the Solar Warden faction? CG - The Secret Space Program, all of Earth's Secret Space Programs were not allowed. No Earth space vessels [are] allowed within a certain distance of these moons. DW - Now I had Jacob, my space program insider who I mentioned before, tell me that some of these moons the entire interior would be like a geodesic shape, that has, like a dodecahedron lets say, pentagonal faces with trees, and habitable land and like the whole interior of it is hollow. And you can fly your craft along and you get to a certain point, and then you make a turn and you fly this way, and like when you get inside there it's almost like a paradise type of world. Do you think that might be what's going on in some of these Saturn moons, that they're that built out inside? DW - Did you encounter information like that yourself? DW - That's something almost everyone in the know that I've spoken to has said. CG - It's in a locked orbit with the Earth, with some sort of tracker beam technology, that has locked it in an orbit with the Earth. They've found the energy field that goes deep within the Earth to where it's focused to anchor the Moon. And the Moon only changes position, as in goes further from the Earth by, I think, centimeters every certain amount of years or something. DW - You're saying that's not normal for a moon? CG - Absolutely not. The Earth's density and the gravitational effect it has in time-space, creating a torsion field by its spinning and contorting space-time is not enough to capture something of the density - or what scientists say is the density of what the moon is. And because of the spinning of the Earth it should have an effect on the Moon to cause it to spin. CG - But the Moon is locked in. It doesn't spin. It's locked in too close to the Earth, and it is not something that could have been captured. None of the scientific models have worked, that it was once part of the Earth and was flung out [after a catalysm]. It was around 500,000 years ago that the Moon became a satellite. DW - Which is exactly what all the other insiders have told me as well. CG - Well, that's the documentation. DW - And you're familiar with - I said this to you on the phone which blew me away - I mentioned Brilliant Pebbles <chuckle>. DW - We've just had, in the very recent past now, photographs sent to earth for the first time of Pluto. Pluto is pretty far out there. And then you've got the Oort Cloud. Is there anything like the Oort Cloud, where they've gone that far out to the edge and developed mining facilities or colonies there as well? 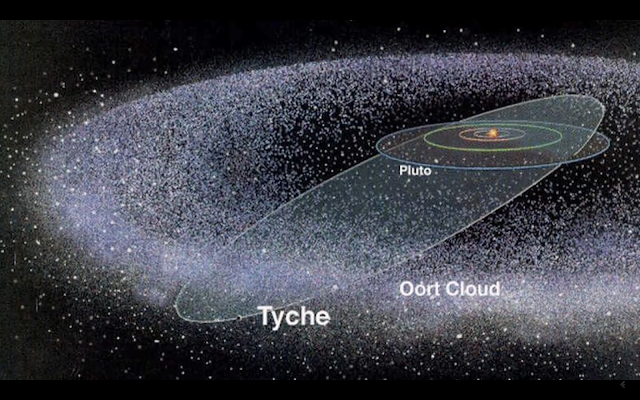 CG - There's a lot of surprises out in the Oort Cloud. 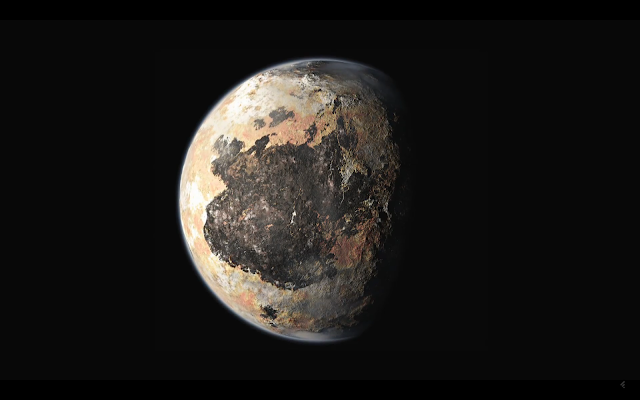 CG - And Pluto is a very interesting planetoid in itself. It has a very strange orbit. It's not on the orbital plane that all the other planets are on. DW - Yeah. Pluto is on an elliptical orbit like this <makes hand jesture> and everything else is like this <makes different hand jesture>. DW - Which they just haven't told us about? DW - Wow. Is there more Ancient Builder race stuff out there, that they were able to find, pressurize and use for their own colonies. CG - They found the Ancient Builder race stuff everywhere. In the Oort Cloud - I mean everywhere. The ICC has gone out into the Oort Cloud and established bases on planetoids out there as well. DW - Up until now, everything we talked about was inside the solar system. Did they have trouble getting out of our solar system, the ICC? Is it easy to leave the solar system? Did they go anywhere else, did they find anything else? CG - Um, yes they are traveling to several solar systems. 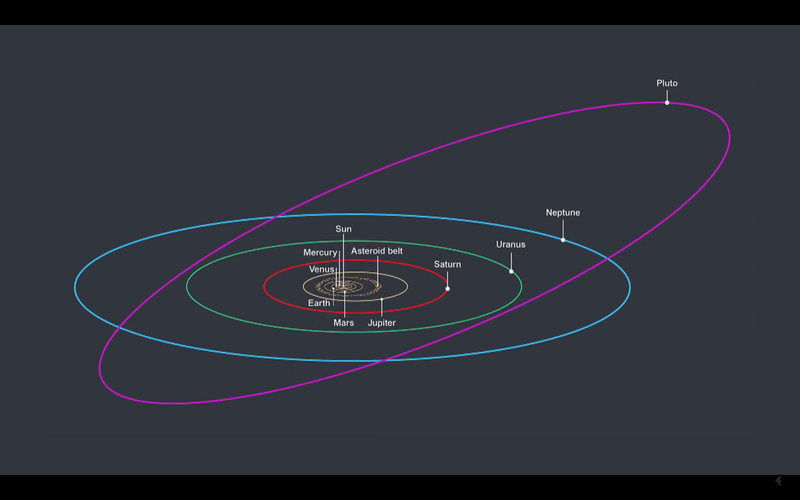 Well, there are two [groups], that are working quite a bit outside the solar system. One of them that's NATO-type group, the league of nations, secret space program, that kind of..
DW - Global Galactic League of Nations you called it, yeah. CG - And they've been working almost exclusively outside the solar system. And the Dark Fleet, [which] is a super advanced, warlike offensive secretive space fleet that work along side the Draco Alliance. And fly outside the solar system and help them in their warfare. DW - I'm curious - OK, so we got those two things, but you mentioned several systems. I'm curious if the ICC is colonizing outside our solar system, besides the Global Galactic League of Nations. Were there materials that they found outside our solar system that they need that they didn't have enough of here? Any thing like that? CG - All the raw materials here are what they need, but there are plenty of other bases in our local star cluster that are from several of the different space programs, including the ICC. DW - You said plenty? DW - Oh you're talking about the GGLN, the Global Galactic League of Nations base? DW - That was a moon? CG - That was a moon. DW - Oh, but I thought you said there was water there. DW - There was water on the moon? CG - Yes, it was inside a cave where the train stopped that went through the portal, and then to the left, where the secure area to where people went in, deeper into the facility. And to the right, you were like in a grotto cave area. And there was a large cave entrance and as you looked out you could see other moon-type structures out in space. And then there was a pool of water outside, a luminescent pool of water that people were having R&R (rest and relaxation) in. DW - Well NASA has recently stated, and this is on [the] public record. 20% of all the stars we see have Earth-like planets, based on their calculations. So that's just the official word too, which might even be an underestimation. DW - Is that consistent with what the ICC and these other groups started to find when they went to other stars? Are there an abundance of watery planets that may be able to be something we could move to if we needed to? CG - Yes, but most likely it would be a scenario to where we would have to go and take it from somebody. DW - Right, most of these planets are inhabited already. CG - Kind of seems to be the model. Any of these moons - a lot of these [bases] are [on] moons. DW - Really? Earth-like moons? DW - Do they orbit gas like planets? CG - Mmhmm. And a lot of these are super-Earths and Earth-like [planets]. We're not that rare and special as we think we are. I mean, yes we have a wide range of genetic diversity and life here, but from the traveling that the Secret Space Program has done, the trade we've done with other ET groups, that have brought us specimens of life from all these other planets, there's an unbelievable amount of life out there. This isn't going to happen [though], because things are going to change, but if we did go down a road to where we used up all the resources on our planet and we're going to go out and find another planet to live on, it's going to be very difficult because the model of the galaxy seems to be any planet that is like this is going to have tons of life and intelligent life [already on it]. DW - Both on the surface and inside the planet for the most part? CG - Definitely on the surface. DW - So what are the logistics of getting to another solar system? You mentioned that the Germans started out flying over the course of a few hours to get to some of these places, but that as technology improved, it's [now] only a few minutes. CG - Going from star system to star system now is routine. It takes almost no time. DW - Even for a larger jump? CG - Even for a larger jump. You're traveling through - every planet, every star, every galaxy has an electromagnetic relationship with every other one, and there's kind of a web between each one. DW - So there's some kind of electromagnetic filaments. CG - Filaments. And if you calculated [things] right, you can travel from point A to point B wherever you want, in one jump. Instead of traveling through open space with a superluminal engine or craft you can travel through this portal or filament, where time does not exist. And it's pretty much instantaneous. DW - Is that something where you have to wait for the filament to be in the proper alignment? CG - Yes. It's very much something that has to be calculated or you don't end up where you want to go. DW - Are there other ways to do it that involve skipping around? If certain filaments are not available you can take plenty of other ways to get there? CG - Yeah it's just like if you want to fly from the East coast to the West coast you can take a one-way flight or you can take a flight that has a few layovers. DW - Are there routes in which they could computer program the whole thing and no human pilot calculation is required? And they can just, if they drop off in one star system they just immediately zip over to the next portal and take off again? Or are their times where they have to hang out and wait for one to open? CG - They have to hang out [and wait for one to open]. That's what happens with the portal system that's close by our star system. And why we have so much interstellar traffic from other beings. Most of them fly by and don't even stop by our solar system. They fly close by our solar system, they stop, wait, do their calculation, wait for the correct timing, jump on that one web that leads them to their destination and then they're off. DW - So none of it takes that long? CG - No. To these ET societies that have been doing this for so long, they've got it down pat [as in, they have mastered it]. DW - It's probably all automated too, right? CG - Most likely, yeah. DW - Not all planets are going to have full habitation. There's probably going to be prehistoric planets, that don't have intelligent life [that has] evolved yet. CG - Yeah, they're [at] all different levels of development. DW - Did the ICC or any of these space program groups find any prehistoric planets near us? CG - I've read about - I don't know where they are located - but I've read about - yes there are planets that are very much described as being [in] prehistoric-like conditions. DW - Have they ever attempted to utilize those planets? To land on them or create an outpost around them or anything like that? 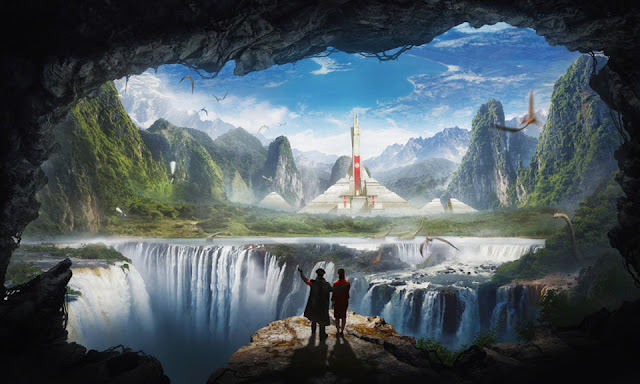 CG - There's one planet that I think some information has leaked out about that is somewhat of a prehistorical planet, that they found a portal connection to, that Earth syndicate groups that were also ICC-related groups, were sending people to. It's kind of a continuity of [the] species-type project, to ensure the survival of the species. DW - How prehistoric is this planet? Is it down at the level of trilobites and the crawly crabs or? CG - We're talking like dinosaur kind of stuff. DW - Dinosaurs, really? Do we, we as in the space program, do we already have enough technology now to try seed a planet with our life from Earth or make it more hospitable for us to terraform it? CG - That was under heavy development back when I was on the research vessel. But a long-term terraforming of a planet is something we could definitely do. DW - Alright, while we're mapping out our habitation of our solar system and beyond, we haven't covered the moons of Mars. We haven't covered Mercury. We haven't covered Venus. You had said to be before, we can't land on gas giants because there's too much heat and pressure. CG - Venus is another story. On the surface of Venus we have very heavily pressurized bases that are just like any of the bases like what we would have at the bottom of the Marianas Trench, heavily pressurized. But most, believe it or not, most of the bases we have are in the upper atmosphere in the clouds. CG - Of Venus. These are entire bases that are floating in the upper atmosphere of the clouds and these are ICC controlled facilities. DW - Well so many times I've seen incredible parallels between what you and the other insiders in the know have said and what's in the Law of One Material. And it can't be an accident. And the Law of Material said that the group that did the speaking actually had lived on Venus 1.2 billion with a B years ago. Are there any ruins found on Venus that you know of? Is there any type of evidence of an ancient civilization? CG - Venus is a very - there's like a very [big] information blackout. There's something going on on Venus. DW - So even at your level, you're not allowed to know about it? CG - Oh, there was a lot of stuff I wasn't able to [access]. When I was looking through the glass pad I would blue screen on a lot of stuff [as in, the smart glass pad stopped providing information or 'blacked out' when Corey would attempt to access classified information.] But on Venus I was able to know - I mean we saw vessels coming and going from Venus. But there's something going on on Venus, that I have no idea what it is. Maybe some whistleblower out there will come forward. I have a feeling, after this series has aired, there's going to be others who have been in this program that I've been in are going to finally come forward. I know many have talked to you and other researchers out there that have many talked off the record, but on the record, as I've stated, have walked right up to the line, stopped, and then backed off. And [have] not told what they've known. And a lot of these people I have a very good idea of the jobs they did, and I know they know a lot more. But there are a lot more people out there I hope to inspire to come forward with their information. DW - The Mars moons, Phobos and Deimos. DW - This is probably the last thing we have time to talk about. Did the ICC build anything on those moons, since they're right there next to their prized planet? CG - I know that they were explored. I'm not sure if they built anything on them. 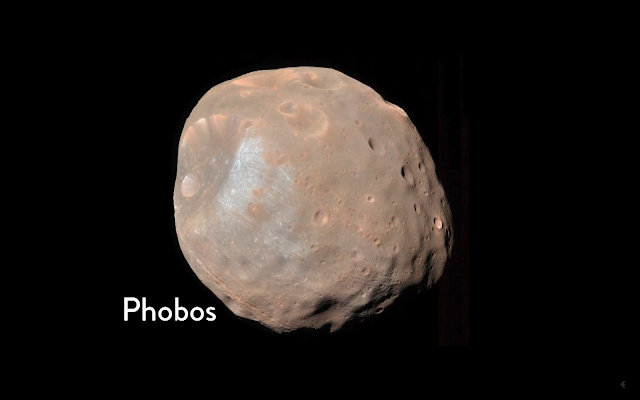 Phobos was once - I know that many different groups have been exploring that - it's hard to call it a planetoid because it was artificial - but have been exploring it to get technology that was in it (image). CG - Somehow it has collapsed on itself. DW - Yeah <chuckle> it doesn't sound like it. CG - <chuckle> To hang out or build a base. DW - Every time I ask you questions I'm learning all kinds of new stuff, so this is really mind blowing. This is "Cosmic Disclosure", because you need to know. I'm David Wilcock, and we'll see you next time. Click here for a Summary and Analysis of Season 2 Episode 12.